Adjectives are words used to modify nouns. Examples are: kind, soft, clever, intelligent and beautiful. Adverbs are words used to modify verbs. Adverbs can also modify adjectives and other adverbs. Examples are: kindly, softly, cleverly, intelligently, only, very, too, tomorrow, early etc. 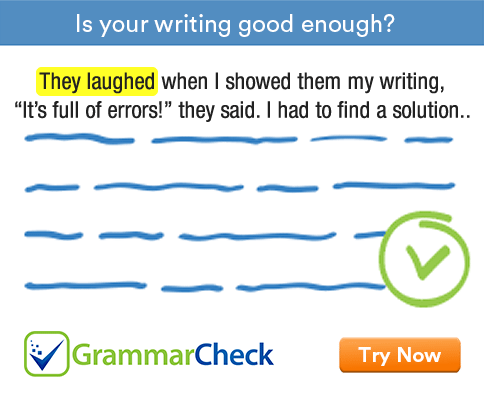 This grammar exercise tests your ability to use adjectives and adverbs correctly. 1. The evening was …………………. cold. Bitter is an adjective and bitterly is an adverb. We use adverbs to modify verbs and adjectives. 2. I couldn’t help ………………….. at the joke. The expression 'couldn’t help + ing' has the same meaning as the expression 'couldn’t help but + infinitive without to'. 3. I have never seen a more …………………. cricket match. A match cannot be excited. An exciting match keeps spectators excited. 4. This movie is ……………….. interesting. Very and so are possible here. Too has a negative meaning. 5. I am ……………… annoyed to hear this. Very and so are not followed by to-infinitives. 6. He was ………………. tired that he could barely stand. 7. You must not waste your ………………. earned money. The correct expression is 'hard-earned money'. Hardly is similar to scarcely. 8. No one can write as ……………….. as he does. Neat is an adjective and neatly is an adverb. We need an adverb to modify a verb. 9. I cannot by ……………… means allow you to go. Taste is a copular verb. After copular verbs we use adjectives, not adverbs. 11. The problem looked …………………. Look is a copular verb. After copular verbs, we use adjectives, not adverbs. 12. I ………………. having read a more enjoyable book. The use of never for not is incorrect in many cases. 1. The evening was bitterly cold. 2. I couldn’t help but laugh / laughing at the joke. 3. I have never seen a more exciting cricket match. 4. This movie is very / so interesting. 5. I am too annoyed to hear this. 6. He was so tired that he could barely stand. 7. You must not waste your hard-earned money. 8. No one can write as neatly as he does. 9. I cannot by any means allow you to go. 10. The fish tasted awful. 11. The problem looked difficult. 12. I do not remember having read a more enjoyable book.